Big Data field and data analysis are rapidly growing areas within IT. Both areas, combined together, will lead to an increase in IT spending by about 26 percent annually for the next five years. Big Data is particularly a significant trend in the market and all offers of cloud analytics are designed to ensure the management of data which is/are not organized, enabling the organizations to gain access to important data and make timely decisions regarding their business. Many Are Interested to Learn Big Data Analytics and Other Works But Clueless Where From to Start. 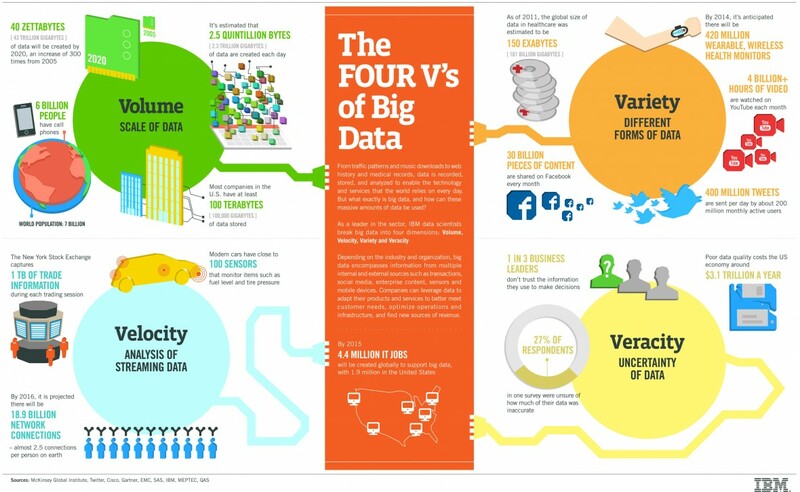 Here is How To Learn Big Data For Beginners. We must disclose at the beginning – there is no single best answer to the question. Rather, our approach is to clarify the basic matters for where from to start after deciding need. First, one should define the need of learning. For example, one can be just curious, another one is from statistics field and interested to work, another one is seeking some job. Second, one should outline technical skills and capabilities which are required in the field of data sciences. The problem with any beginner is that, those are not aware of what should be the right course or resource (be such free or paid) are those who get misguided more. Unfortunately the market is flooded with courses which are based on something industry do not need or delivers a superficial knowledge for current need. As of now, with minimal working knowledge it is possible to grab a very high paying job. But with deficit in basics, it is dangerous for future of job. Till the beginners can realize these matters are those who are get cheated the fast growing IT industry moves on and the delay causes irreparable loss. There are many institutes who offer online paid courses but whether they at all have technically qualified people and content that is questionable. It is not abnormal find humans with byline “data scientist” with much marketing works to deceptively appear as credible. Course not always needed. Course is needed for professional works & jobs. Have You Mastered the Basics? There are tools and technologies which anyone needed to learn to keep no gap for future. With rapidly evolving F/OSS development, it is very likely that within next two decades, many companies will have change in need. IoT, for example, at many jobs is not separate from data sciences. Those basics not going to change. It is better to start with SQL, UNIX or GNU/Linux basic, some working knowledge on Java, Python, C, C++ and move towards data sciences. Nobody ever talks about motivation in learning. Data science is a broad and fuzzy field, which makes it hard to learn. Learning about neural networks, image recognition, and other cutting-edge techniques is important. But most data science doesn’t involve any of it. Knowing a few algorithms really well is better than knowing a little about many algorithms. This Article Has Been Shared 9270 Times! IBM Analytics Demo Cloud is intended to learn Hadoop, Ambari, BigSQL free of cost with SSH access & web console. Here is how to get started. Here Are the Steps, Commands to Create Data Science Environment on Cloud Server For Data Analysis Starting With a Blank Server With SSH. Some organizations will only use data scientists and analysts to handle their data initiatives, while others will give access to multiple people across various departments. Let us take a look at how companies can be more proactive with their data. Displaying SQL result data may be a need. Here is How to Get Chart, Data Visualization in WordPress Posts From SQL Queries in Easy Way. Here is Guide on How to Install Apache DataFu on Debian System. Apache DataFu is a collection of well-tested libraries for data mining and statistics. Cite this article as: Abhishek Ghosh, "How To Learn Big Data For Beginners," in The Customize Windows, June 8, 2018, April 21, 2019, https://thecustomizewindows.com/2018/06/how-to-learn-big-data-for-beginners/.